BJP President Amit Shah said the defeat faced by the Opposition in the no-trust vote in Parliament is just a “glimpse” of the 2019 Lok Sabha poll results and a reflection of people’s faith in the Modi government and its mantra of ‘sab ka sath sab ka vikas’. He said the outcome of the no-trust vote is a victory of democracy and a defeat of dynasty politics. 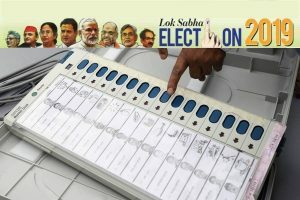 “The defeat (of the Opposition) in Lok Sabha is just a glimpse of next year’s Lok Sabha election results. The country has full trust not only the Modi government’s mantra of sab ka saath sab ka biswaas. 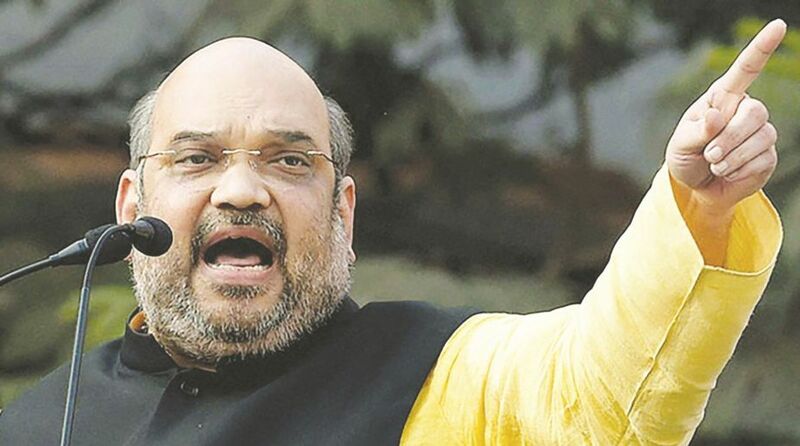 “This win of the Modi government is a win of the democracy and defeat of dynasty politics,” Shah said in his tweets following the defeat of the Opposition-sponsored no confidence motion. He said the Congress, “which promotes dynasty politics, racism and appeasement”, has once again been exposed in its hatred towards the prime minister who comes from a humble background. “Without a majority and lacking any objective, the Congress party has exposed its political bankruptcy by not just bringing a purposeless motion against the government which enjoys the country’s full trust and faith, but has also repeated its age-old history of crushing the democracy,” he said. The Narendra Modi government on Friday passed the no-confidence motion moved by the opposition with an overwhelming majority, with the government getting 325 out of a total 451 votes. Soon after the government won the no-confidence motion, PM Modi said that the NDA has the confidence of 125 crore people. “NDA has the confidence of the Lok Sabha and the 125 crore people of India. I thank all the parties that supported us in the vote today. Our efforts to transform India and fulfil the dreams of our youth will continue. Jai Hind!,” he said in a tweet. The no-confidence motion was put to vote after a 12-hour heated debate which saw the government and opposition trading charges and a moment of drama when Congress chief Rahul Gandhi, after a blistering speech, walked up to the treasury benches to give a hug to Prime Minister Modi. The result indicated that the parties not formally part of the BJP-led ruling coalition, the NDA, also voted in the government’s favour. The AIADMK voted for the government, while the Telangana Rashtra Samithi (TRS) walked out minutes before the voting on no-trust motion took place. The Biju Janata Dal walked out of House earlier in the day to abstain from voting, while the Shiv Sena, one of the constituents of the National Democratic Alliance (NDA), boycotted it.